Last week, I wrote about the spirit of the farm—how the land seems to call to us—about the relationships between the soil, water, air, sunlight, birds, insects, plants, and Us. The miracle of nature in balance is what we are trying to share with the kids. And it’s working. 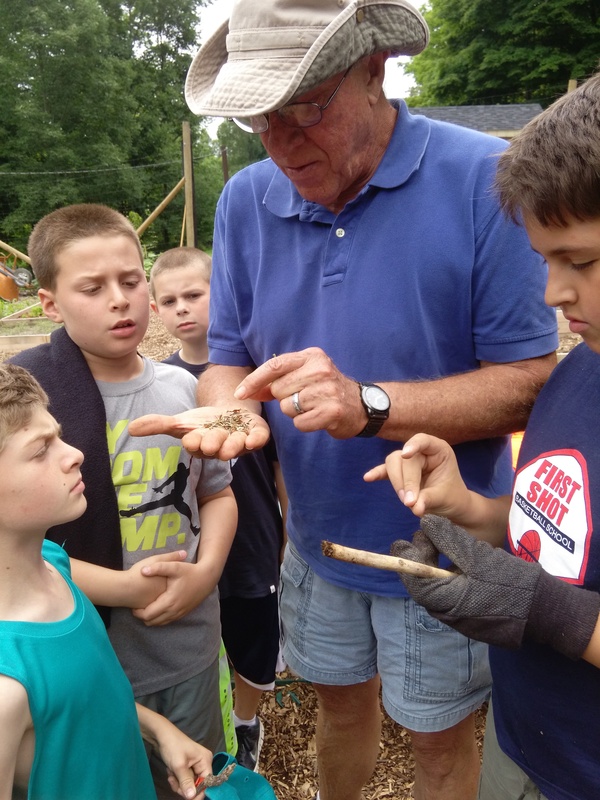 This week on the farm, we planted and harvested and tasted the gifts of the earth. We put up our first batch of cucumbers to pickle, enjoyed fresh zucchini and yellow squash for our mid-morning snack, planted more radishes, weeded the raised beds, and talked a lot about the problems of water and soil pollution, Climate Change, irresponsible genetic engineering, and the critical importance of biodiversity. Much of it was heady stuff and the kids took to it like I did not imagine. It’s been amazing! We also sang the farm song and told corny farm jokes (pun intended) and shared a lot of theories about why camp decided to have a farm program. It has all been quite magical. When we harvest our lettuce and eat it on the spot, it is magical. 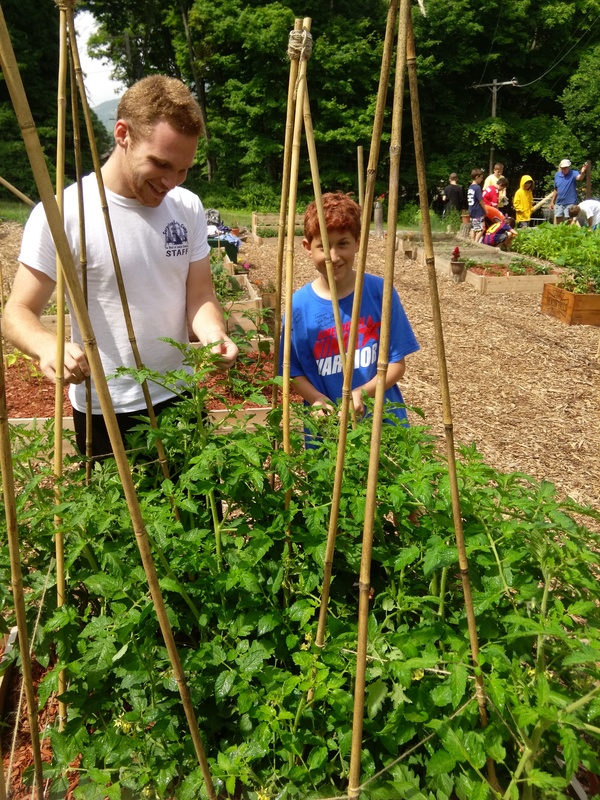 When I see the faces of the children as they notice how much the tomatoes have grown overnight, it is magical. When we see the bees and butterflies skipping from flower to flower, pollinating the plants right before our eyes, it is truly magical. And while the spirit of the farm is ever present in our Three Sisters Garden, on our vineyard, and in the Seven Species tract that symbolizes the food which sustained our ancestors, we remark on the magic of it all and leave the farm each day with a growing sense of appreciation of the universe. Hi Alan, how old are the campers that you have conversations with about climate change, pollution etc. Thanks for a lovely blog entry. 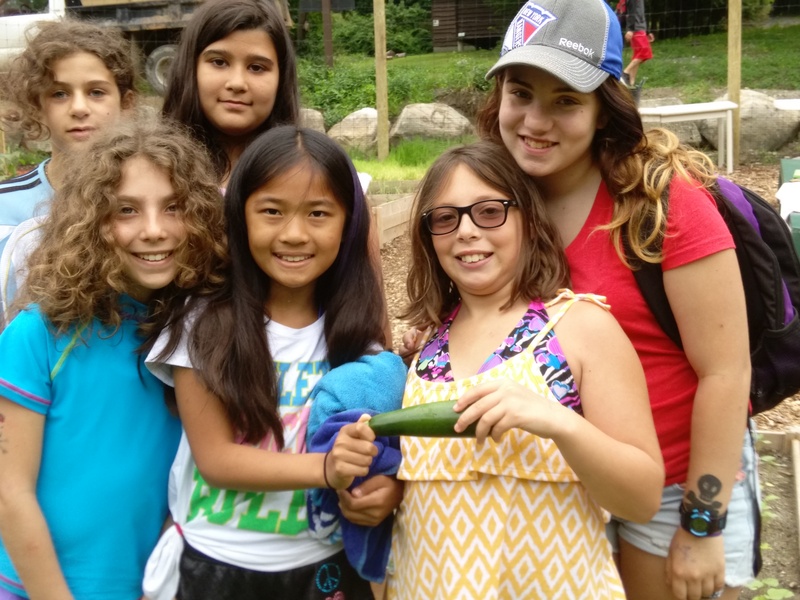 I work with 4 -13 year olds in a Ramah Day Camp garden in Elkins Park, PA. 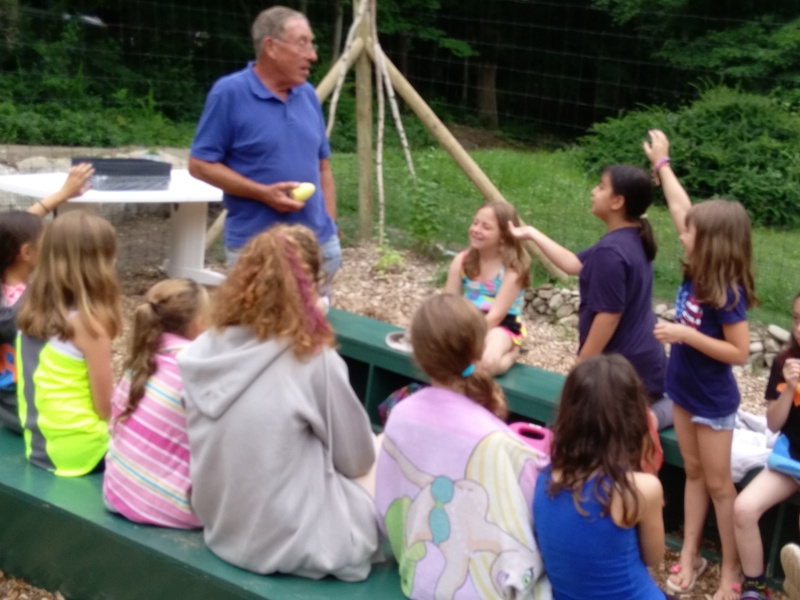 Discussions about air, water, and soil pollution–along with problems resulting from the use of non-organic (toxic) pesticides and herbicides–are discussed with campers of all ages. 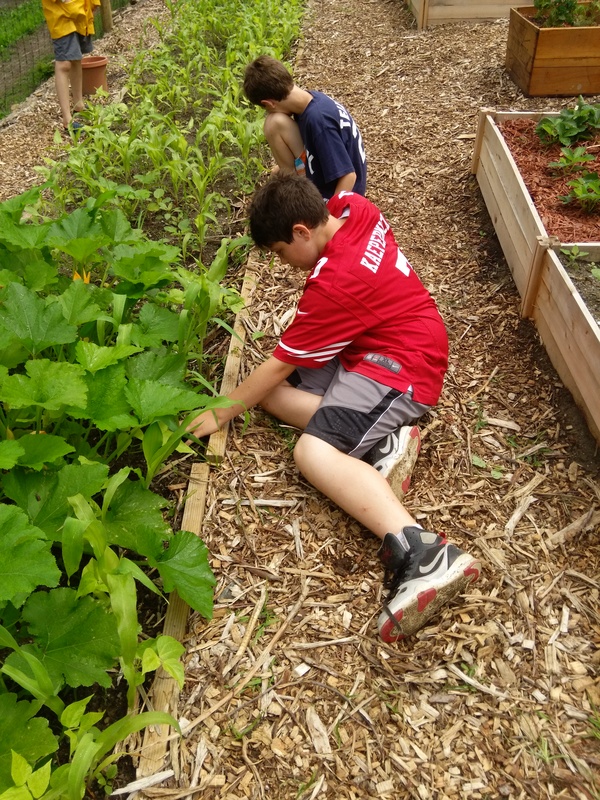 All campers (farmers) are taught the importance of taking personal responsibility for making our planet a healthier place for all living things.